We gave our favorite winter recipes a healthy twist. Watch the videos to get some inspiration and try yummy, christmassy recipes with our superfood mixes! Christmas is approaching fast and what would the most wonderful time of the year be without some winter spices? 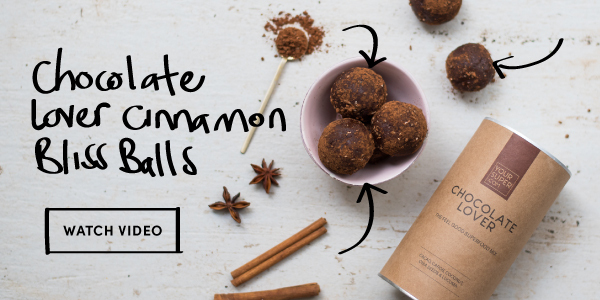 Since we're totally in love with Bliss Balls we simply HAD TO make a cinnamon version that is way healthier than the original and really tasty, too! Bonus: Our feel-good mix of raw cacao, carob, coconut, chia seeds and lucuma will boost your mood instantly! 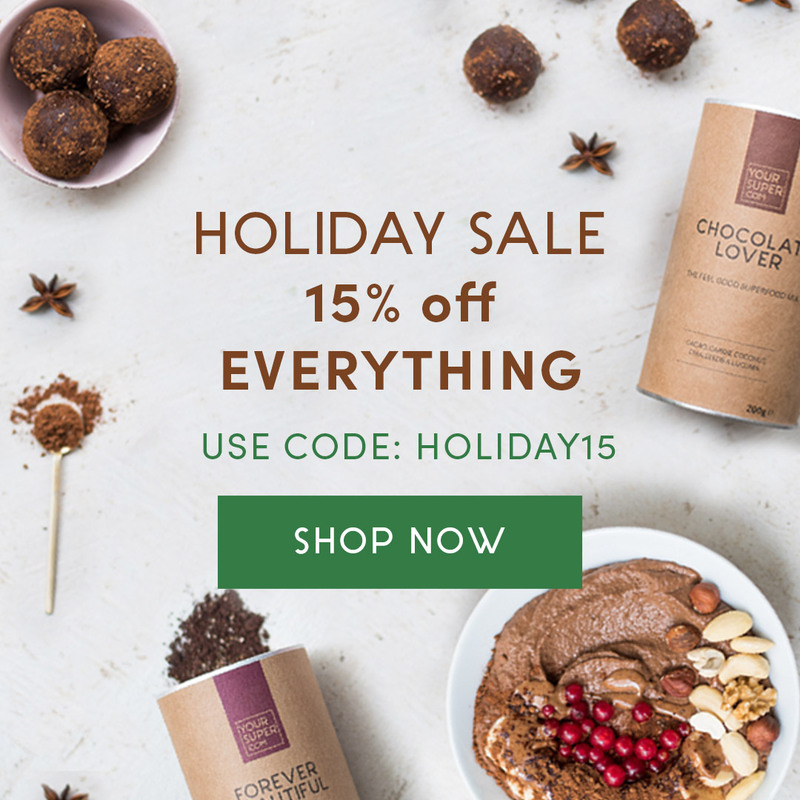 It is the perfect alternative for all Chocolate Lovers! Pancakes – the ultimate weekend breakfast! Unfortunately, they often contain lots of sugar, fat and white flour. 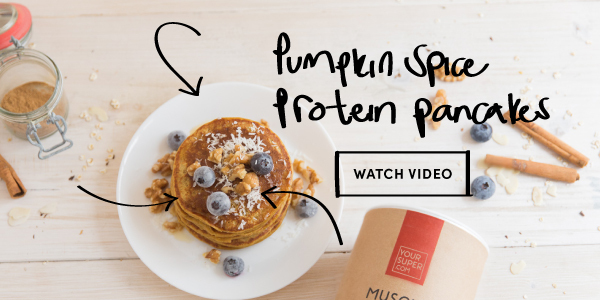 Try our healthier take on the classic – gluten-free, vegan and packed with superfood protein! Plus, they taste like pumpkin spice. Perfect for fall and winter! The protein we're using in this recipe is the Your Super Muscle Power Mix, a blend of rice and pea protein, lucuma, maca and banana powder. It contains all essential amino acids and 60% highly absorbable protein. There is no Christmas without cookies - let's be real! Looking for a healthy recipe that also tastes amazing? Look no further! 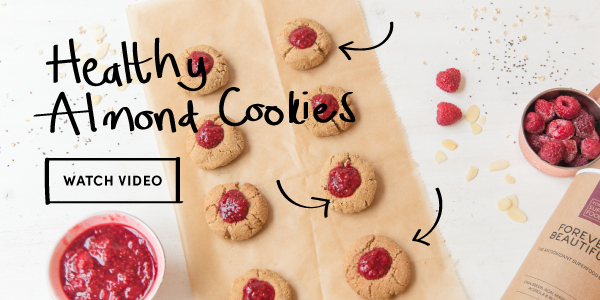 These healthy almond cookies are absolutely delicious and also packed with awesome wholesome ingredients. Our fruity Forever Beautiful Jam is the perfect addition to the crumbly and sweet almond cookie. The mix of acai, maqui, acerola, maca, chia seeds and blueberries nourishes your skin from the inside out as it's high in micronutrients, antioxidants and essential fatty acids. 1 spoonful equals a handful fresh berries and boosts your daily nutrient intake! 6 powerful skin foods, nothing more!